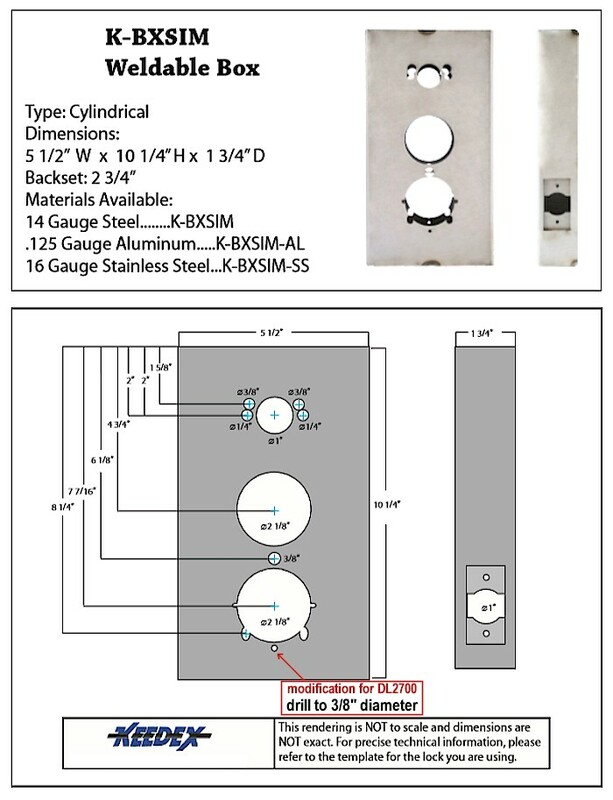 Push button gate lock. Two separate products. 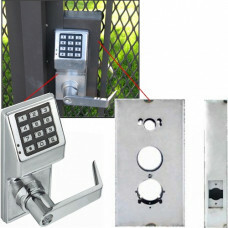 The Alarm Lock DL2700WP Weatherproof electronic battery-operated pushbutton lock. And, the K -BXSIM Keedex Weldable Gate Box. This pairing of products is perfect for outside gates on commercial and residential properties. No electrical needed. All metal, 12 button programmable for multi-level access functions including group or individual user codes, master and management codes, passage and emergency or service code, lockout and remote override capability and allowable entry time from 5 to 20 seconds. 4 Different keypad tones and keypad may be silenced. UL Listed, fire rated, 3 hours, 1/2” throw, solid brass, deadlocking. Reversible. Adjustable front for flat or beveled doors. 1-1/8” x 2-3/4” T strike & 1-1/4” x 4-7/8” ASA strike included. With screws for wood or metal jambs. 1-1/8” x 2-1/4” wrought brass or stainless steel. 5 AA alkaline batteries are now rated at 120,000 cycles, supplied. Audible low battery alert, visual and audible entry indicators, unique Flex Drive® motor. 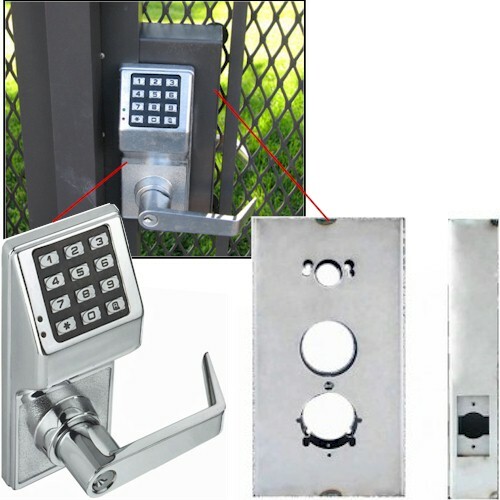 Grade I, heavy duty cylindrical lockset, UL listed and FCC certified. ADA compliant leversets.